Apologies for the late posting but this important event has come to the attention of TMK so we wanted to share it with you all. On Sunday 13th November, there will be a launch for a new Amnesty International Milton Keynes (AIMK) group. 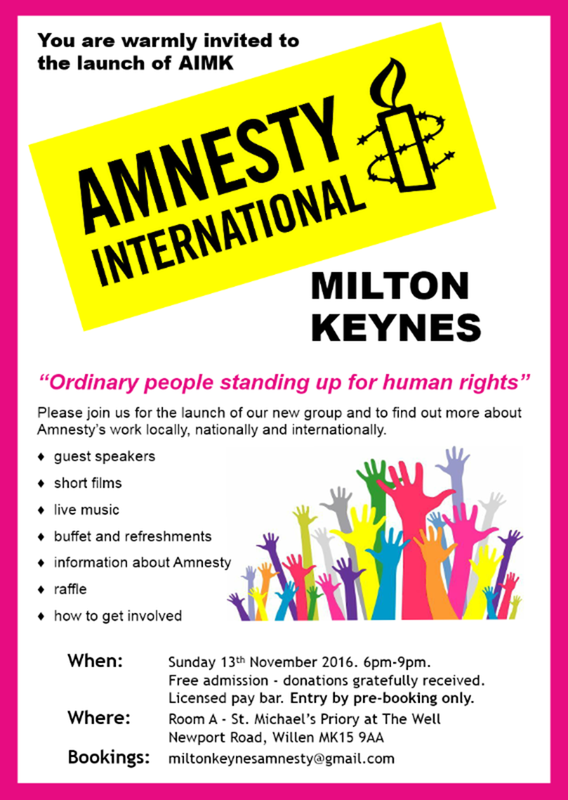 Go along to find out more about Amnesty's work and enjoy guest speakers, short films, live music and more.